It’s no secret that I love the long-tail cast on. It’s a nice mix of firm and stretchy. It doesn’t mutate into extra-long loops as you work the first row. It’s pretty fast to do. 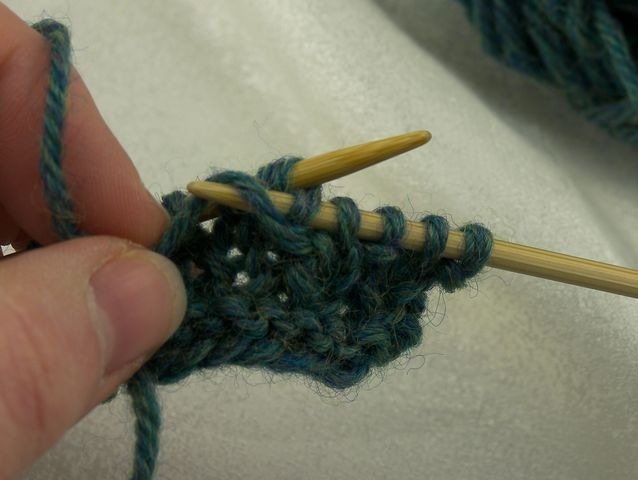 The long-tail cast on is essentially a cast on combined with a row of knitting, done at the same time. That’s what gives it those wonderful properties. That means that the long-tail should count as the first right side row of any work. The long-tail cast on looks like a row of knit stitches, which is great if you’re working a piece of stockinette. But what if you want your cast on to match the ribbing at the bottom of the sweater and are a relentless perfectionist? 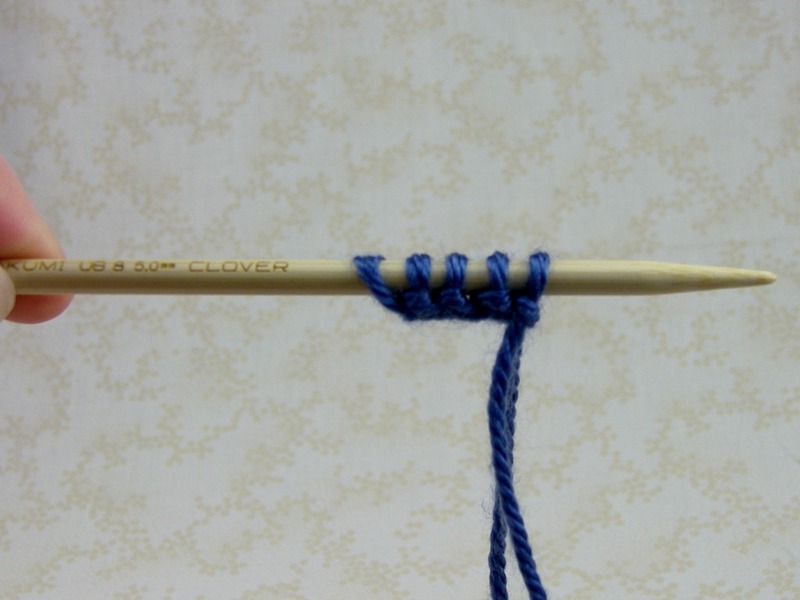 If you can cast on and knit simultaneously, then you can cast on and purl simultaneously too. 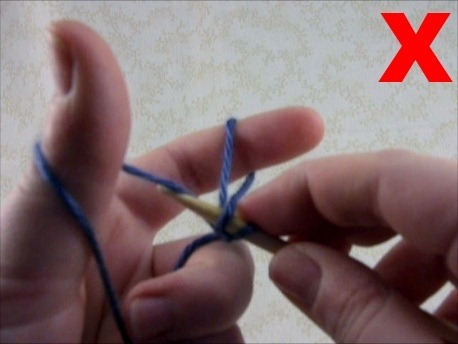 Hold the working yarn (coming from the ball) over your thumb. Hold the long tail over your index finger. (Or vice-versa.) Let the loose ends drape down your palm and grasp them lightly in your other fingers. 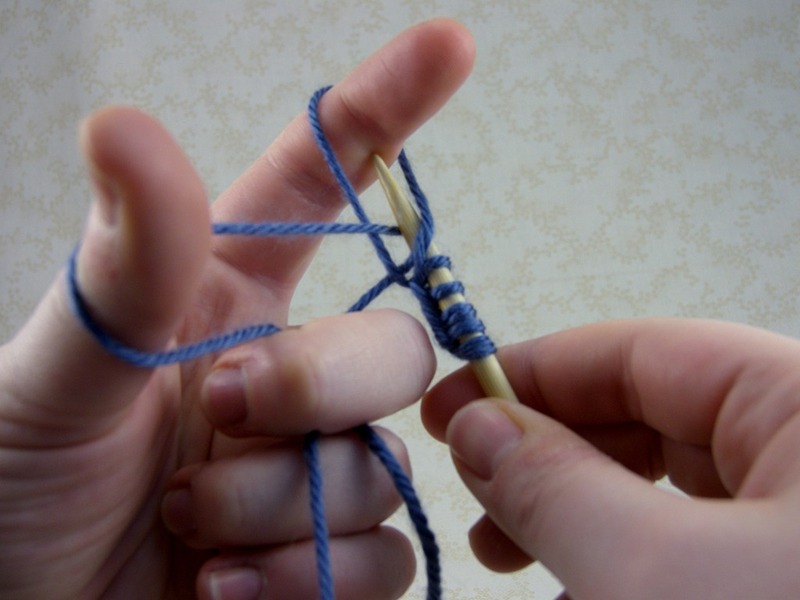 This forms two loops, one over your thumb and one over your index finger. The needle moves around and under the outer strand on the thumb and comes up in the middle of the loop. 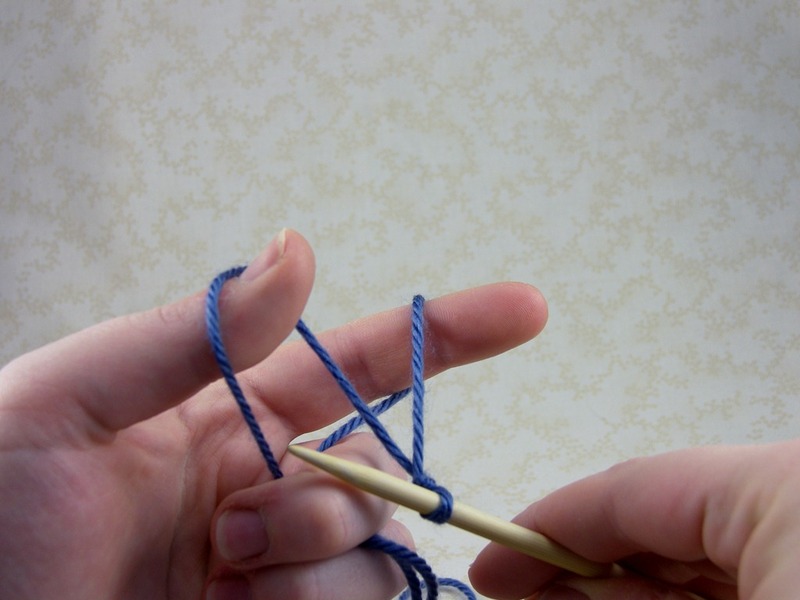 Then the needle goes under the closest strand on the index finger, from outside moving inwards. 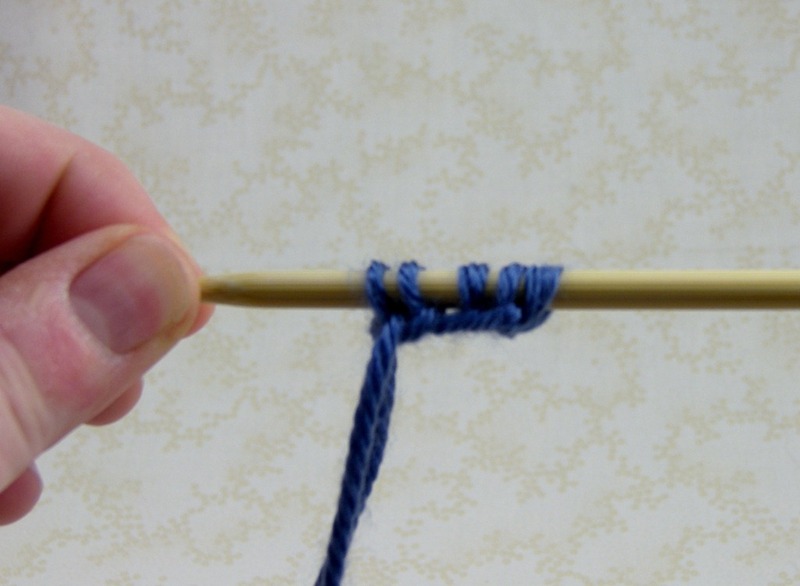 The strand is pulled through the loop and the resulting stitch is tightened up. The right side and wrong side of the cast on. For the purl long-tail cast on, the set up is the same. 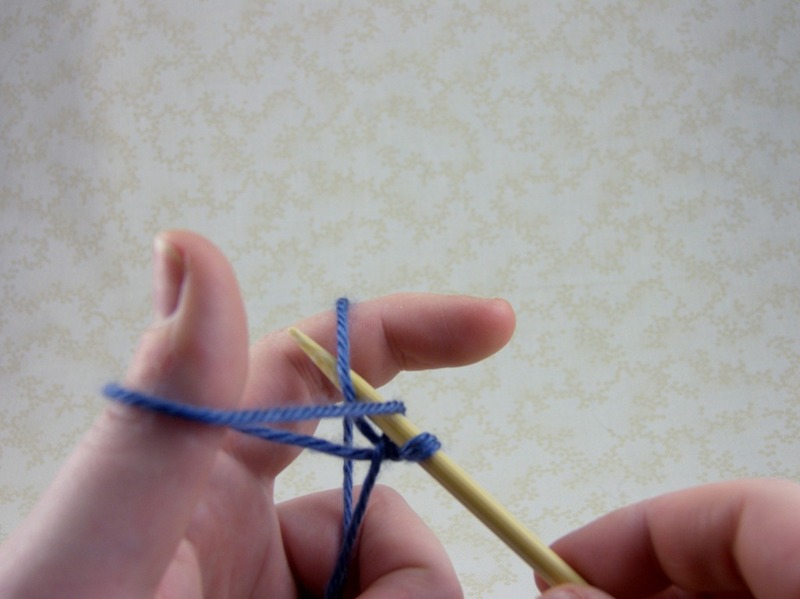 Hold the yarn as if to do a regular long-tail cast on. 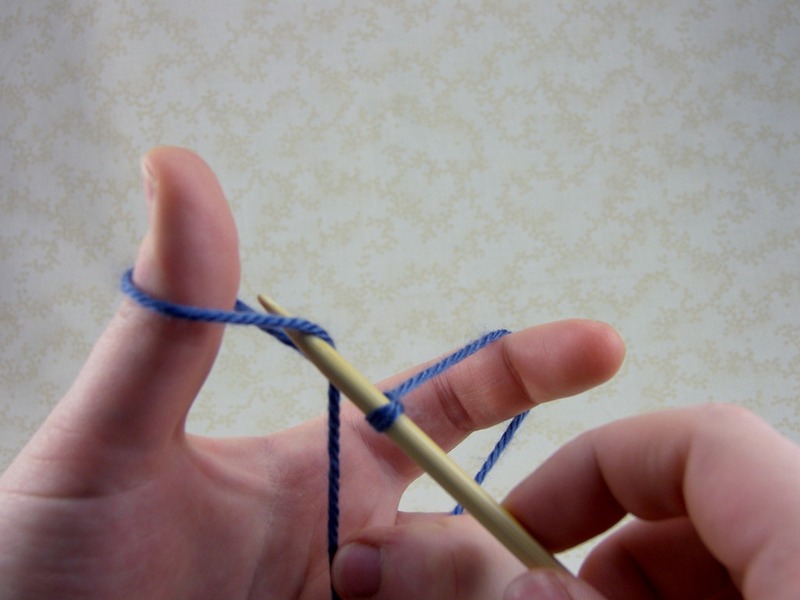 The needle moves around and under the outer strand on the index finger and comes up in the middle of the loop. 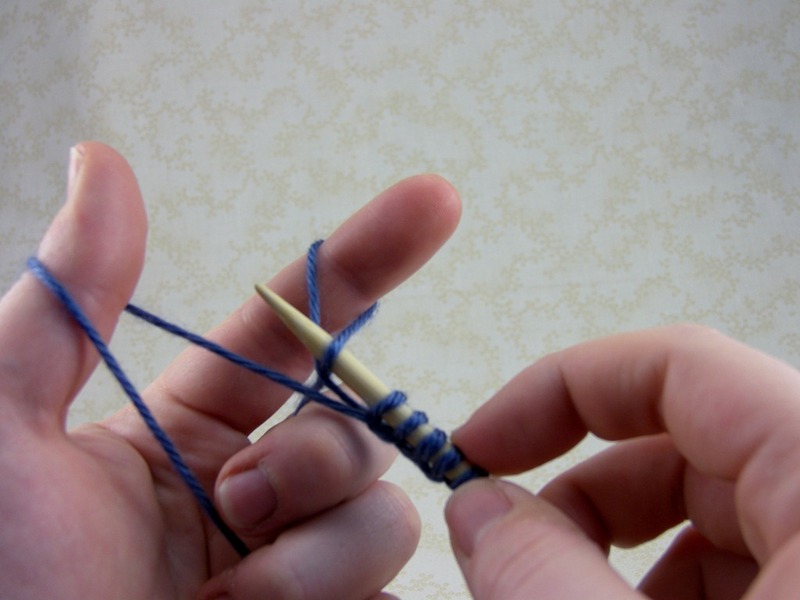 Then the needle goes under the closest strand on the thumb, from inside moving outwards. 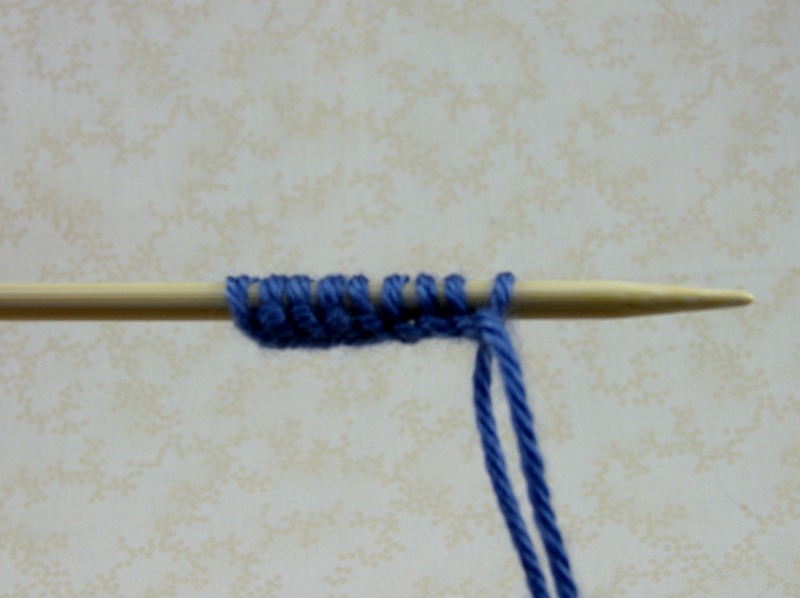 The strand is pulled through the loop and the resulting purl stitch is tightened up. The right side and wrong side of the cast on. See the purls? Make sure that the needle goes under the strand from behind. If the needle goes under from the front of the strand, the stitch will be twisted. Look, a video! There’s no sound, just real-time cast ons. Exciting! I thought I had made an awesome discovery about short row heels. Turns out I haven’t. Or maybe I have, but I can’t duplicate the results, so in the end it’s the same thing. Very disappointing, since I spent the last two hours trying to unvent my own “mistake” and failing miserably. So instead of an awesome short row heel tutorial, I’m going to put up something certainly less interesting and probably less useful. Purling through the back loop is a lost skill, I think. Rarely, if ever, does a pattern request that you purl through the back loop. The only ones I’ve found, really, have been twisted stitch patterns that are worked flat, like the heel flap of my Socks (circa 2008,) where the twisted purl stitch on the wrong side shows as a twisted knit stitch on the right side. Purling through the back loop is also useful for the occasional unintended twisted purl stitch, like the ones I always get when I have to rip out and then put ribbing back on my needles. Instead of having to move the stitch to untwist it, I can just purl it through the back loop. It’s a small time-saver, but I like it. Go behind the stitch with the right needle and insert the needle into the stitch from the back. 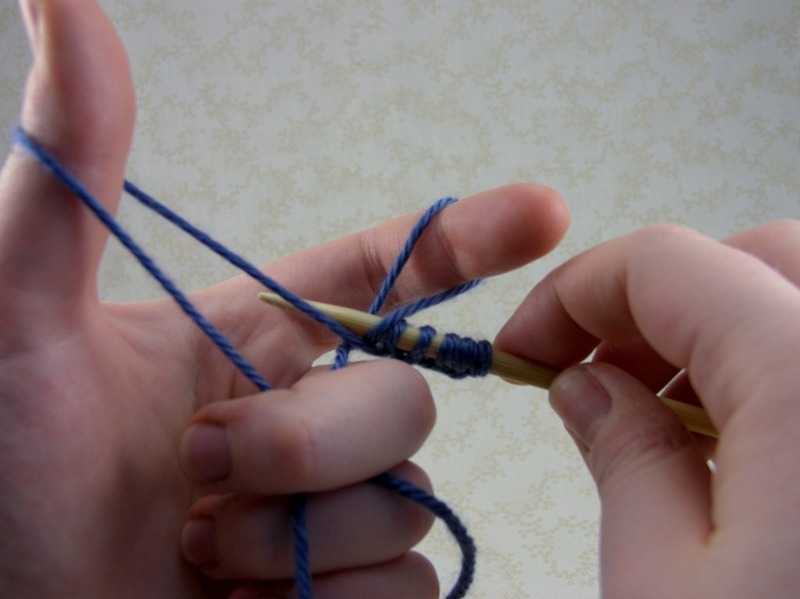 Wrap the yarn as usual and pull through the stitch. Purling through the back loop (p tbl) is not something that’s done very often, but it’s a handy skill to have. It can also be confusing to figure out without pictures. Purling through the back loop after a cable turn can help avoid holes. 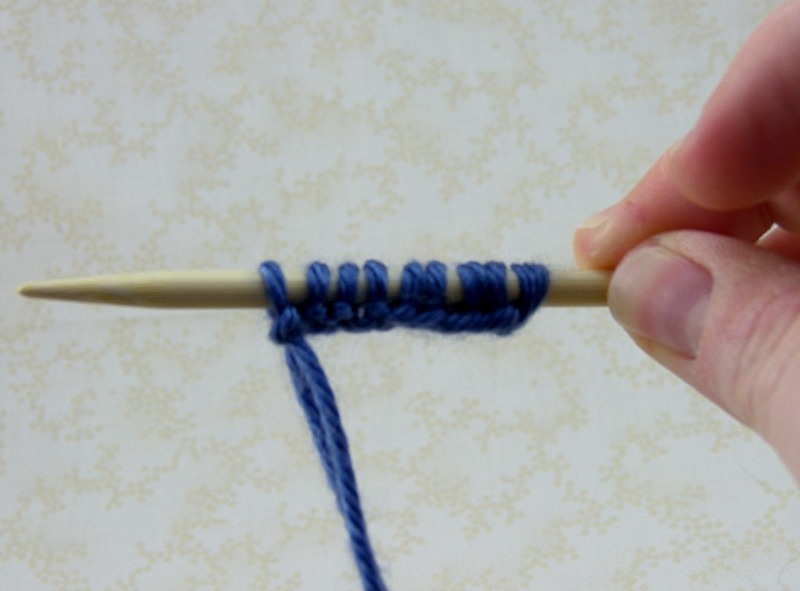 If you’ve accidentally twisted a purl stitch, it’s an easy way to correct it. Or, if you’re like me, you mostly run into twisted purl stitches when you’ve had to rip back and no matter how many times you’ve put stitches back on the needles, they’re always twisted. Insert the right needle into the back loop of the purl stitch from the back to the front. 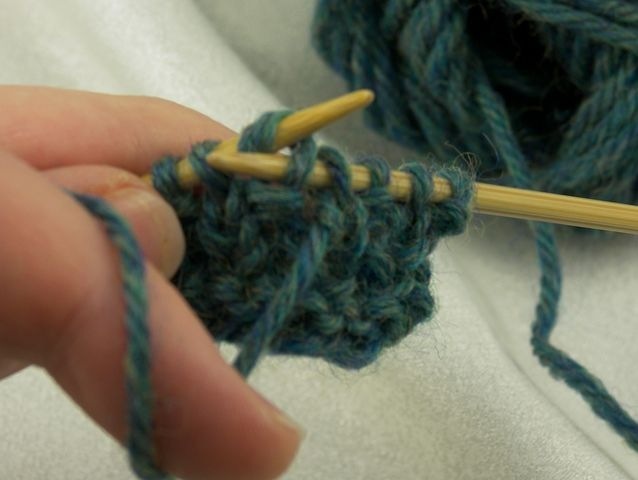 Wrap yarn around needle as usual and pull through the stitch. Recently, I’ve been using p tbl in my ribbing. 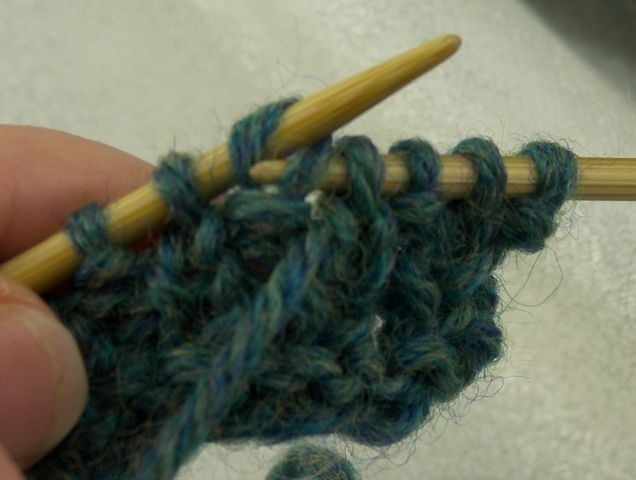 I wrap my yarn around the bottom of the right hand needle (instead of around the top as in the picture) which twists the resulting stitch. On the next row, I purl the stitch through the back loop to correct the twist, still wrapping my yarn in the opposite direction. Personally, I think that doing that has improved the look of my k1p1 ribbing considerably. I should probably take some pictures of the two ribbings, but I’ve been a little under the weather lately and so I am lazy. I got the yarn for my Fireflake hat in blue and white, although I’m not sure I’ll have time to knit it before winter is gone. Yarn for my sweater/cardigan should be here soon too! I’m really excited about that. Can’t wait to get started!